Today we are talking non-fiction books! Non-fiction books are a very broad category, ranging from autobiographies and biographies to historical figures or events to even travel books. It is really hard to narrow down the possibilities for this quick introduction to the genre! Honestly, it is not uncommon for me to turn to fiction books to escape from the real world; however, a good non-fiction book is one that will stick with me beyond what I ever imagined and sometimes serves a need that a novel will never fulfill. Let me share a few of my favorite non-fiction books, across a wide range of possibilities with you . 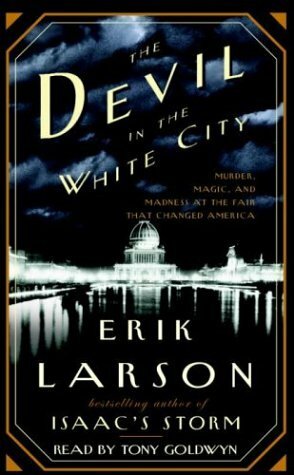 . .
Devil in the White City by Erik Larson still stands as my favorite non-fiction book of all time after reading it back in 2009. Larson does a brilliant job of writing about the lives of two men -- the brains behind the 1893 World’s Fair in Chicago and the monster that used the Fair to lure victims into his clutches. The book reads like a novel, fascinating me with the facts behind Walt Disney, the Ferris Wheel, Shredded Wheat, and so much more. 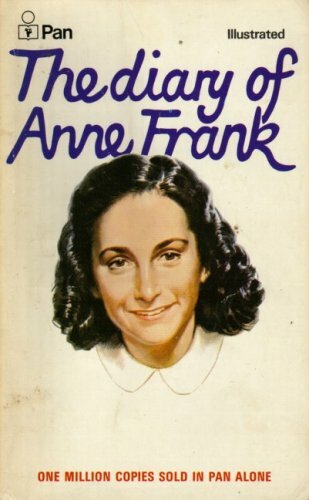 The Diary of Anne Frank is one that many have read as part of their required reading in school, but it is one that I turn to again and again. The innocence of Frank, sharing the details of her hidden life capture a time in our history that deserves to be on that required reading list, despite its many challenges and potential bans throughout the years. 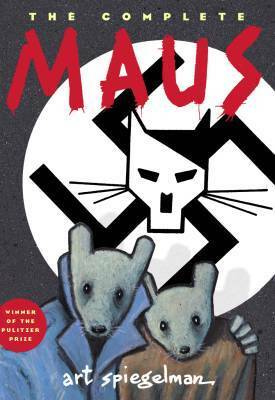 Maus by Art Spiegelman brings a biography duo of epic proportions. This book was required reading for one of my college literature classes and my first graphic novel that I ever read. The story alone is one so powerful on a multitude of levels -- the story of survival, a page in our history that we must never forget, a relationship shared between father and son -- BUT, the images and the symbolism portrayed within those images have never left me, even more than a decade later. This is just a quick peek into a few of my favorite non-fiction books. Now it is your turn to tell me your thoughts, your favorites, and so much more on this highlighted genre. Do share (in the comments or via the linky below). I have heard great things about Devil in the White City. I look forward to next month when we read it for our IRL book club. Tanya @ Mom's Small Victories ... Yeah!! Please keep me posted on what you think!! I read Erik Larson's book, In The Garden of Beasts, and loved it! His writing is so magical because of his seamless writing and bringing to life real people, without it reading like an encyclopedia article. Books in the Burbs ... I agree! I've read In The Garden of Beasts and loved that one too!! Maus is SUCH a great example of brilliant non-fiction! I haven't heard of DEVIL IN THE WHITE CITY but if it's about The World Fair and the process it took to make it the huge event it was, I'd consider reading this. If it reads like a novel and includes Walt Disney, I'd definitely consider reading this! Glad you mentioned it! Christine P ... Definitely recommend Devil in the White City! I'm not actually surprised that your sister isn't required to read it. Anne Frank's diary is one of the most challenged/controversial books in the country. I think some districts avoid it to avoid the controversy! Kim Cuasay ... You're welcome! Maus is a frickin' awesome nonfiction book. I was in total awe when I finished it. Cee @ The Novel Hermit ... Do you have any recommendations for that time period? I haven't read very much at all of that era! Yes!! The Devil In The White City is my favorite too! mwgerard ... It's so good!! I don't read a lot of non-fiction, but I've read some stuff for books that's turned out to be excellent including War (Sebastian Junger), Soft Spots: A Marine's Memoir of Combat and Post-Traumatic Stress (Clint Van Winkle), and Manic (Terri Cheney). Trish Doller ... I have not read any of these yet! I will check them out! The Devil in the White City is fantastic! So is his In the Garden of Beasts. I recently read Maus for the first time. Wow. Talk about powerful. Nonfiction is my favorite! Yay! Jennifer @ The Relentless Reader ... Yeah!! I really liked In the Garden of Beasts, too! I will read anything by Larson! I on the other hand prefer fiction to non fiction although I will read one if it looks good to me. I have not read The Devil in the White City. Kathleen Kelly ... I tend to gravitate to fiction most of the time, but a good non-fiction is AMAZING! The Devil in the White City would be a good one to start with because it reads more like a novel. Ooh, Maus is really good! I don't read much nonfiction, but Devil in the White City has intrigued me for quite a while. I'll have to actually read it at some point! Jennifer ... I definitely recommend it! Excited to read through a lot of these links! I only started getting into non fic a few years back. I need to catch up! alyssa zech ... I can't wait to read what everyone has to say about non-fiction! I know I am missing out on a lot too! Oh I have Devil in the white city but didn't even know it was NF. I heard Midnight in the garden of evil is really good too. I love The Diary of Anne Frank. Erin Williams ... I have not yet read Midnight in the Garden of Evil. I will check that one out! Non-Fiction is just as broad a genre as Fiction, I almost feel it should get as much attention! And good NF can be so amazing. One of my favorites is the Poisoner's Handbook by Deborah Blum. Kallen @ GeekyLibrary ... I agree that it is just as broad! Sooooo many options out there!! I haven't even heard of The Poisoner's Handbook. Definitely will be checking that one out! Erik Larson is one of my favorite nonfiction writers. Loved Isaac's Storm, especially since I live so close to Galveston. Great topic. I'm so happy to see nonfiction featured. I don't see too many people reviewing these books so I will definitely make the rounds this weekend. Vikk @ Down the Writers Path ... I have yet to read Isaac's Storm, but I think that is my next Larson I want to read. I've been eyeing it for a while now! I'm looking forward to reading your favourites. Deborah Gray ... I have not yet read any of those titles, but I have been really wanting to read Unbroken sooner rather than later. I've heard that one is sooooooo good! I will check out the other titles too!